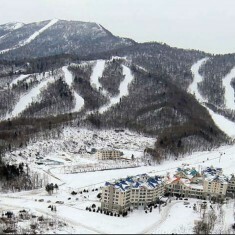 Yabuli Sun Mountain | Yabuli Sun Mountain | Ecosign Mountain Resort Planners Ltd. 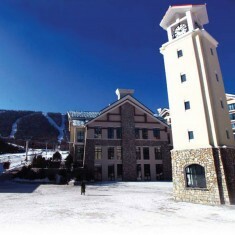 The Yabuli Sun Mountain Resort (formerly Yabuli Windmill) is located in the province of Heilongjiang, approximately 195 kilometers north of Harbin City and 120 kilometers west of Mudanjiang. 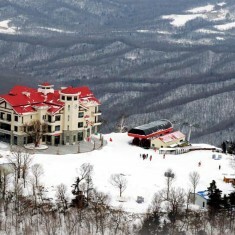 Yabuli Ski Complex consists of two mountains Yabuli Sun Moutain and Yabuli Ski Resort and is one of China’s largest destination ski resorts. The resort has hosted the 1996 Winter Asian Games, the 2008 National Winter Games and the 2009 Winter Universiade. 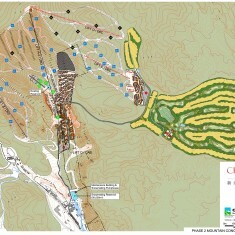 Ecosign was commissioned in 2007 to prepare a mountain, resort village and land use master plan to renovate and expand the Yabuli Windmill Resort (now named Yabuli Sun Mountain). The first phase of Ecosign’s master plan included the installation of a two section eight passenger gondola, a six person detachable grip chairlift and several moving carpet beginner lifts along with the expansion of the ski trail systems. The first phase of base lands development included the construction of single family villas, three hotels in the new pedestrian retail village and a mountain top restaurant with exclusive VIP suites on the upper 4 floors. 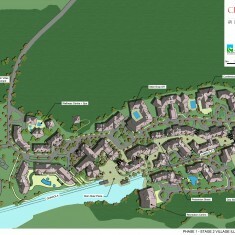 Currently, Club Med is operating one of the hotels within the village. 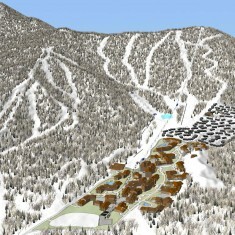 The Phase I plan has a total of 2,100 beds with a mountain capacity of over 6,000 skiers per day. At build-out the resort is anticipated to have a total of 9,220 beds and a Skier Carrying Capacity of close to 10,000 skiers per day.